What does PCB stand for in electronics? Printed circuit board (PCB) is physical base module that supports the electronic and mechanical components that make up the circuit. The components are interconnected using the copper lines etched on the surface of base plate that is made up of an insulating material, also known as substrate. 0.1 Learn details about, What does PCB stand for in electronics? 1 What does PCB stand for in electronics? Learn details about, What does PCB stand for in electronics? Before printed circuit board technology can into existence, the electronic circuits were built using Metal strips or rods used to connect electric components mounted on wooden bases. Metal stripes were gradually replaced by screw terminals. 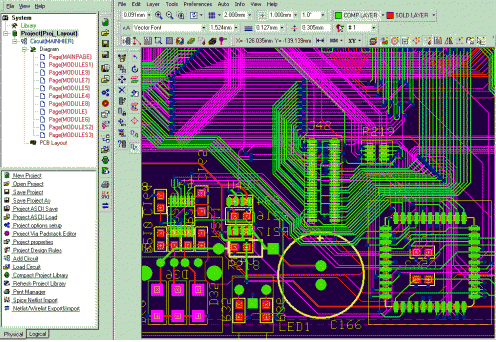 Best free PCB design software. The wooden bases were gradually replaced by metal bodies. However, the complexity and ever demanding needs in all walks of life demanded an evolution in the way a working circuit is built. In 1943, in United Kingdom, Paul Eisler obtained a patent for a new methodology of creating conductive lines, or patterns, on foil of copper bonded on non-conductive base plate which is glass-reinforced. With evolution in electronic industry with introduction of every evolving transistor, the importance of PCB methodology gained popularity due to smaller and smaller sizes of electronic components using smaller transistors. What does PCB stand for in electronics? With advancements in printed circuit board technologies, a need of automation into design the PCB s aroused. There exist hundreds of automation software’s, sometimes referred to as EDA software’s in PCB industry today. 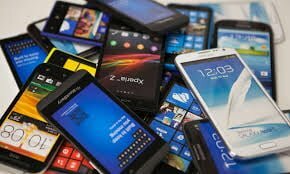 Some of these are less complex and free for use whereas some of these are highly advanced and costs around few millions. What does PCB stand for in computers? In this type of PCB, there is only a single layer of substrate. All electrical parts and components are fixed on one side and copper connections are on the other side of the substrate. In this type of board, parts and components are attached to both sides of the substrate. These types of PCB s have the copper traces on both the sides of the board. On Double-sided PCB s usually has through-hole components. Through components means the component leads as protruded from one side to the other side and the leads are soldered to the holes from the other side. Multiple layered PCB s are those which consists of several layers of substrate bonded and separated by insulation to each other. The common PCB’s come in various configurations: 4 layers, 6 layers, 8 layers, 10 layers and so on. These types of boards are very common in today’s products and are the need of extremely complex electronic circuits. Flex PCB s are constructed using plastic substrate which is flexible in nature. An example of these substrates is polyimide substrate. 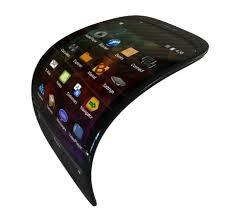 Flexible PCB s are used in smaller and compact devices such as mobile phones and cameras. 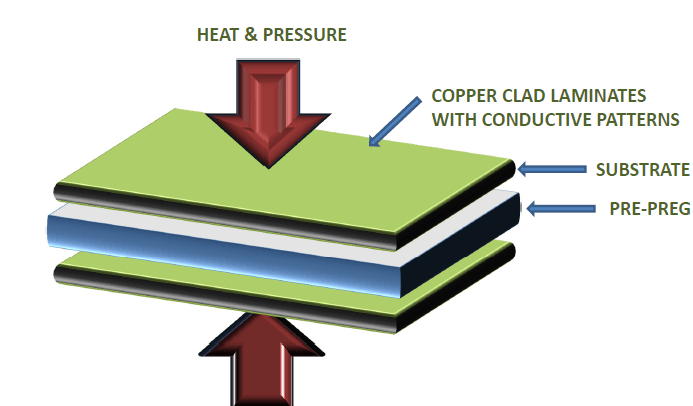 PCB is constructed using a substrate on both sides of which the copper sheets are laminated. These are called copper clad laminates. The interconnection patterns are then printed or etched on the laminated copper sheets. The etching or printing of copper tracks on the laminates is carried out using additive or subtractive methods. In additive method, the copper is elector-deposited on to the laminate sheet. In case of subtractive method, the intended tracks are covered with protective application and the remaining copper is removed. 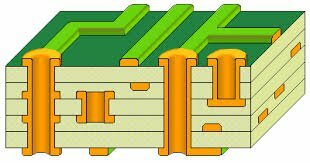 In case of multilayer printed circuit board’s, number of such laminated and printed copper clad laminates are the attached to each other. These sheets are heated and pressed in the presence of pressure to form a desired bonding. These laminates are isolated from each other by using a non-conductive material also called as prepreg. Two types of holes exist on the printed circuit board, conductive and non-conductive. Conductive holes are used for soldering the through hole components as well as, as the means for connecting the copper tracks on the different layers of the printed circuit board, also called as Via. Non-conductive holes are used for stand-offs, mounting purposes etc. The conductive holes are plated from inside and the walls of the hole barrel is conductive. The drilling is carried out through CNC machine by programming it with drill information files. Any burrs or excess materials are removed from the edges of the holes. These holes are then plated in case the holes are required to be conductive. The very small size holes of sizes such as 0.005 Inches, are drilled using laser and are very costly to drill. 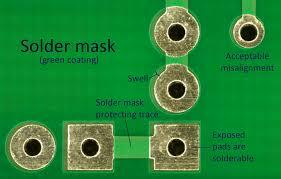 Solder-mask is a layer of polymer that is applied on the surface of the PCB leaving out the places where the components are soldered to the printed circuit board. The application of the solder-mask is for protecting the traces from oxidation and also to avoid bridges of solder to form between soldering pads. The solder-mask is usually green in color and it is the solder-mask that makes the printed circuit board green as may be seen for the most cases. Legends, Component identifiers, PCB number, Company names and any other information that is required to be printed on the PCB is printed using the ink called as silkscreen. 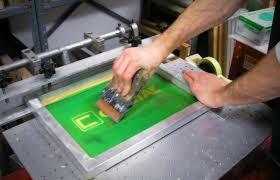 The silkscreen helps identify the components easily in case of debugging and repairing of the board. An association called IPC (Association Connecting Electronics Industries) is the major organization which standardizes the assembly and the manufacturing requirements of a PCB and PCB assemblies. Founded in 1957, IPC is accredited by the ANSI (American National Standards Institute) for developing and establishing standards in the electronics industry. There are number of software’s and tools available globally for designing and laying out the PCB design and for production release to manufacturing. The renowned companies like Mentor Graphics, Cadence, and Actinium etc. 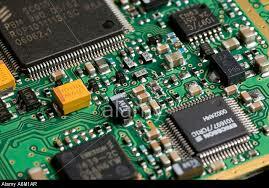 provide very highly advanced tools for PCB designing. The PCB design usually starts with Schematic development in which the logical flow of the signals from a block to the other is drawn. A net list containing all these connections is then exported onto the layout tool where the physical layout is carried out. The physical representation of the component in layout is called as footprint and it has the soldering pads laid out as per the physical dimensions of the component. All the footprints in the design are placed on the board having finite dimensions as per the design requirements and the mechanical constraints. The logical connections, or nets, can used to route the copper traces between the component pins. The final output of the PCB design work is artwork data, also called as GERBER which is sent to the fabrication house for the production of the PCB. The fab house is also provided with the NC drill files for the drilling information. The GERBER and the NC drill files are standard format files irrespective of the E CAD software used for PCB design. If you like What does PCB stand for in electronics? 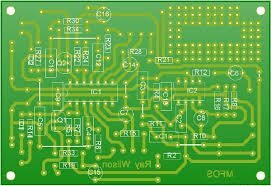 Please comment so we will go for 5 best printed circuit board design tools and software’s in the market and details in What Is a PCB?